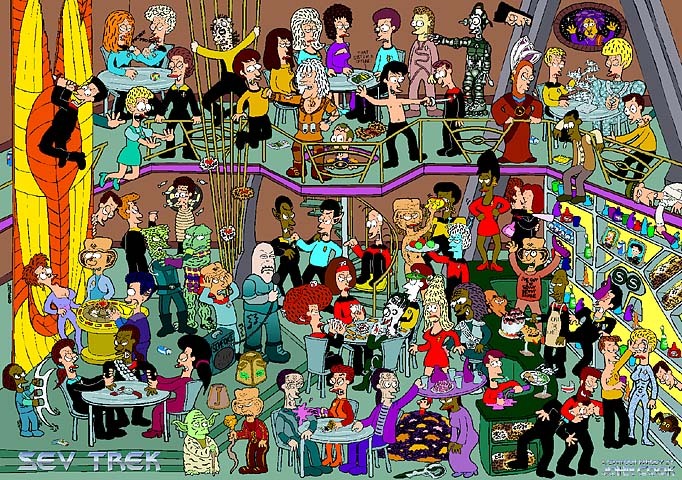 The poster features almost every single Sev Trek character going at each other in Quack's bar! The poster is A2 size - 59cm x 42cm and shipped in a tube to preserve quality. Can you count how many sev logos are hidden in the poster? Note - your shipping is more economical if you add other posters when ordering this poster (as they all go in the one tube). See which other posters are available in the Related Products below.